dance.net - A tribute to Michael Jackson - a great dancer! (8342621) - Read article: Ballet, Jazz, Modern, Hip Hop, Tap, Irish, Disco, Twirling, Cheer: Photos, Chat, Games, Jobs, Events! A tribute to Michael Jackson - a great dancer! Moved to Jazz Photos - Misc by Odessa (22571) on 2009-06-30 17:05:12 Moving this over to Jazz, since Michael Jackson was a one of the greatest jazz dancers of our time. If you have photos with Michael Jackson dancing, please post them. In his memory. 2 Replies to A tribute to Michael Jackson - a great dancer! re: A tribute to Michael Jackson - a great dancer! 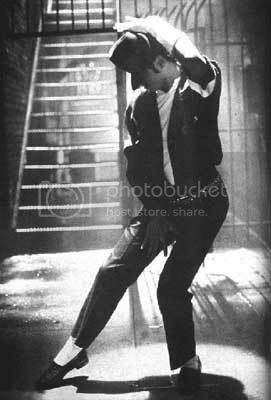 But if we're going to pay tribute to MJ's dancing, the best way to do that is to check out some videos, where you can see the man in action. The dance in Beat It still amazes me to this day. He made dancing look so masculine. I am sure if I had been a teenager in the 80's I would have had the BIGGEST crush on him. Michael Jackson is my hero. I love him. Yeah, check out some videos for all the action!